Qdoba Restaurant Corporation owns a chain of restaurants serves Mexican food. The company owns the Qdoba Mexican Grill, which also serves made-to-order Mexican dishes. These restaurants are located in about 500 different locations spread across 40 states. The restaurants also have signature burritos coupled with secondary dishes such as salads, tacos, breakfast items and nachos. The company owns over 150 restaurants itself and the rest of them are owned by franchises. Jack in the Box, which operates a hamburger chain also owns Qdoba. The headquarters of the company is located in Wheat Ridge, CO. 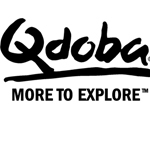 There are currently 3 consumer reviews about Qdoba Restaurant Corporation available. Share your review. Today, I visit the qdoba to get a mango salad for lunch. I thought I had enough points to receive a free lunch, but too my surprise my next lunch would have been free. I ordered amango salad didn't have enought points so the manager to the cashier to trash the salad. The manger was not friendly and made me look like a fool in front of the other customers. If the next meal was free and i didn't have my card with me to purchase the salad why trash it. I wont be eating at that qdoba ant more. My coworker was with me and she didn't like his attitude either. Why be nasty? I went today to qdoba mexican grill and the guy ring me up twice because he charge me for a drink after I show him my military id. He didn't even apologize about it at all. All he say is he saw it after the fact but how is that when I told him before he ring me up and show my id. I don't even see a void on my receipt but he say he did. I hope he didn't charge me twice because on my bank account I was debit twice. I used to like this location but they are getting messy and don't care how they make your food. What really bother me the lady ask me did I want it to go I say yes then she ask me again and then again. That's show that they don't pay attention to nothing you say. I went to 1916 south gate road Colorado Springs CO 80906 on 4/26/2013 at 6:55 pm. Please take a note that you are about to post a public review about Qdoba Restaurant Corporation corporate office on CorporateOffice.com. This review will be public, so please do not post any of your personal information on this website. If you would like to contact the corporate offices of Qdoba Restaurant Corporation, please use their contact information such as their phone number, website, and address listed above to contact them. However, sometimes staff from Qdoba Restaurant Corporation headquarters do read the reviews on this website.